Microsoft already had its powerful presentation tool for PowerPoint. But, in August 2015, Office Sway was introduced as an alternative to PowerPoint. This software helps in producing interactive reports and presentations with a number of customizations like narrations and audio recordings. 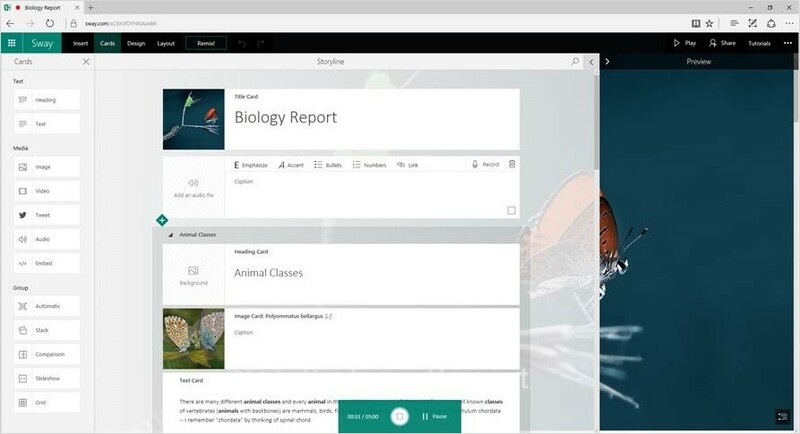 Office Sway essentially works with the latest version of Google Chrome, Firefox, and Edge. The main advantage of Sway is that you do not need to spend hours on formatting your deck. Sway comes with a lot of design templates and engines that can help you with your presentation. Depending on your privacy settings, the viewers can see your Sways online, without having to sign up for anything or having to download the deck. Besides, you can change your privacy settings later in order to limit or modify your audience. Download our full report, 2017 Cloud Trends for Managed Service Providers (MSPs), to get a sense of what you can do to stand out as an IT Consultant. The first feature we will look at is the accessibility view of Office Sway. This feature allows you to have a more comfortable reading experience with keyboard navigation and disabled animation. 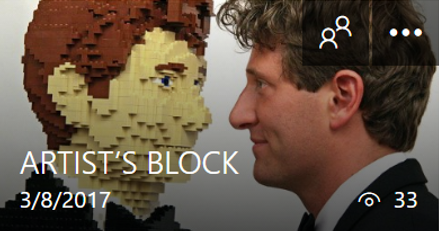 The accessibility feature loads the entire content of Sway into the memory. Therefore, Assistive Technology can take over, access all your content and simplify the working experience with the application. In order to facilitate easy reading, the content changes to black and white color and this ultimately leads to higher contrast reading. You can switch to a vertical scrolling mode in order to navigate through the content easily. Here you can use either the system keyboard or the Assistive Technology. The layout changes with Accessibility View mode. The text or content of Sway is now displayed in a vertical manner so that the readers can focus on only one part of the content at a time. This provides a more organized reading structure. It removed grid lines and stacks in order to give the readers a bigger and clearer space for the content. The accessibility feature gets rid of the extra animations that help Assistive Technology and allows the reader to focus solely on the content. This is another important feature. While working with this application, you have the option to add running voice commentary and narrations according to your own requirements. This is only possible if your system supports the microphone. This feature has been introduced at the request of Microsoft’s Education customers and has proven to be quite effective for a more advanced mode of presenting interactive reports. Another unique feature of Office Sway is its closed captioning feature. If you are an Office 365 user, this feature also extends to video files uploaded in the same way. There is a wider choice of languages and this can be selected based on the preferences of the user. For this particular feature, Microsoft makes use of a format that goes by the name of Video Text Tracks (.vtt). This format is put to use by a number of different web browsers for closed captioning purposes. How would you know if a particular tool’s closed captioning feature is turned on or not? The answer is very simple. Whenever you are viewing a file with a CC symbol on the bottom right corner of the screen, it indicates that the closed captioning feature is on. On the media player, you are also able to adjust the language of the narration and change how the captions look in the player. This feature provides a clearer view of the content. There are various thumbnails that make it easier for the reader to understand the context. It comprises of numbered tiles. You can switch between different presentation sections as and when needed. For instance, if you are in the middle of a presentation and need to check something in the first few segments, you can do so by selecting the right numbered tile. 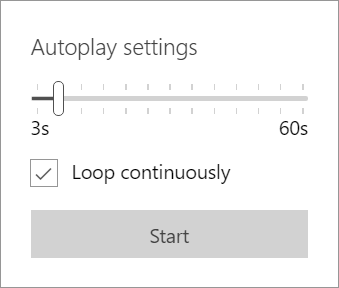 Autoplay is another important feature. It puts the slides in the correct order and they keep playing on their own. With the help of this option, you can put all the slides and content pages in a loop. One of the most important concerns for people using today’s technology is the safety aspect of the applications in question. When we talk about Sway, Microsoft has things organized in this department. For instance, as a Sway user, you will be able to lock your documents and presentations securely by using passwords. So, no matter how much content you put in your file, the details will stay secure and intact. 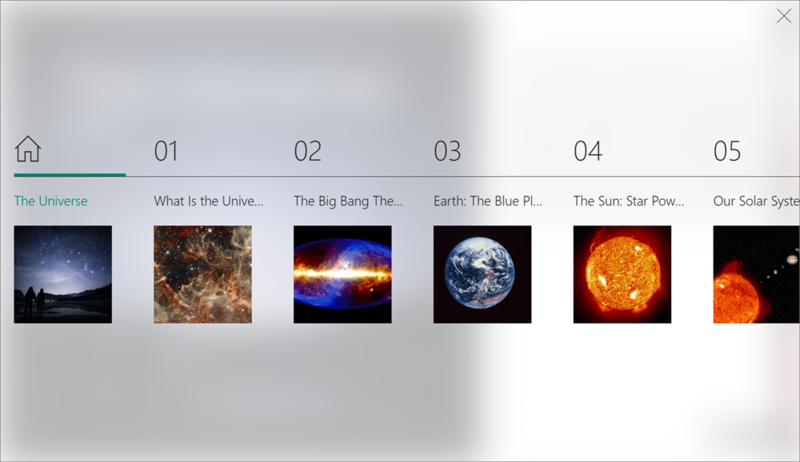 Do you have a presentation to host and you don’t want to display that the presentation was created in Office Sway? Well, this cloud-enabled platform has the answer for you. With one of this application’s new features, you can create a lot more shareable content and at the same time conceal the software you used. Furthermore, you can show these presentations live or upload them onto a public platform. This is a newly-added paid feature, but definitely worth mentioning. If you create a presentation and put it on the web using Sway for everyone to view, there is one interesting feature for you to use, namely, the viewers count feature. This feature has been added to help you see how many people looked at your file. This is important because it allows you to understand the viewership on your deck. Of course, this depends on your privacy settings and who you share your presentation with. Once you organize the data and your Sway shows ‘no data’, it only means that the presentation has not been viewed since the date it was published. 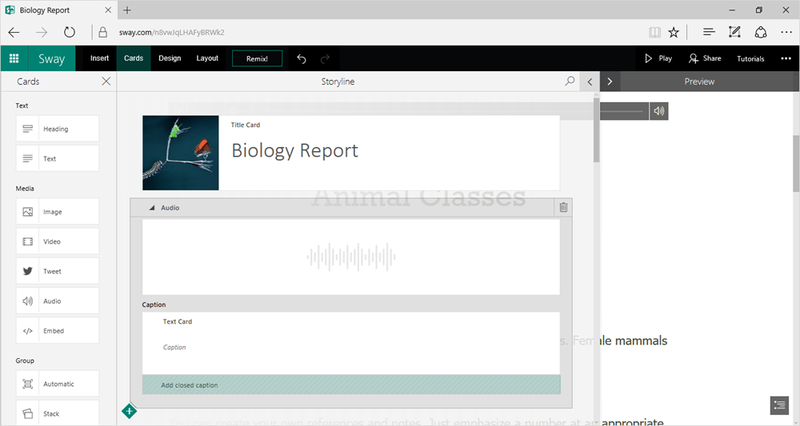 One of the best features in Office Sway is its ability to work across different platforms. Therefore you don’t need a computer every time you need to access it. In fact, you can download the software as an application on popular platforms like Windows and Apple. This makes it a popular choice for people who want to access it on the go. It is true that Microsoft already had presentation software in the form of PowerPoint, but the concept of Sway is different because it is online software. Presentations can, therefore, be accessed from anywhere or with the mobile app. PowerPoint, on the other hand, is a desktop application. Yes, you can get the online version of PowerPoint with Office 365 with limited features but that’s a completely different story. These applications are intended for different uses. If you are creating a data-driven presentation with lots of graphs and charts, PowerPoint will be the ideal choice.